Ro﻿bert﻿ M. Bernstein, MD, is a Stanford-trained, Board Certified Endocrinologist in Santa Fe, New Mexico. Dr. Bernstein maintains an active clinical practice. In addition, as an expert witness in Diabetes and Endocrinology, Dr. Bernstein provides an array of litigation support services. 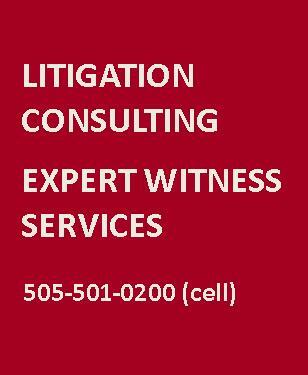 He has worked on numerous cases for both plaintiff and defense and is experienced in depositions and trials. Over many years, Dr. Bernstein has delivered dozens of well-received lectures to doctors, nurses and lay people. His teaching skills enable him to clearly explain complex medical issues to both attorneys and juries. Dr. Bernstein is Board Certified in Internal Medicine, Endocrinology and Metabolism, and is a Fellow of the American College of Endocrinology. He is a member of the American Diabetes Association, Endocrine Society, and American Association of Clinical Endocrinologists. Dr. Bernstein was incredibly helpful as an expert witness in a complicated case involving an overdose of Metformin. Although no other cases of chronic Metformin overdose had been documented, he efficiently combed through various sources of medical literature that helped build our case. Dr. Bernstein also excelled at boiling down the necessary medical terminology into understandable concepts, and was able to remain sensitive to the expected jury instructions throughout the case. He was a pleasure to work with and the consummate gentleman." "My client was facing 10 years in prison on a felony-level charge in New Jersey. We retained Dr. Robert M. Bernstein as our medical expert on the issue of whether his behavior was caused by low blood sugar due to his diabetes. Dr. Bernstein wrote a favorable expert report which corroborated my client's defense. This convinced the prosecutor to downgrade the charge, resulting in an advantageous plea agreement resulting in no jail time. I would highly recommend Dr. Bernstein for any case involving diabetes."